Non toxic, Bio Degradable and Chemical Free Honing and Polishing of Marble, Travertine, Limestone and Terrazzo. 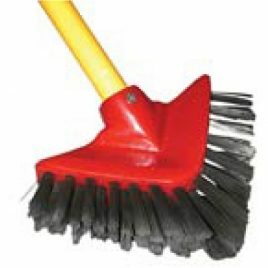 Easy to use with any 17″ 175-300 rpm floor scrubber. These unique pads are washable and re-usable. Monkey Pads are revolutionary new diamond polishing pads for marble, travertine, limestone and terrazzo and other natural stone floors and surfaces. 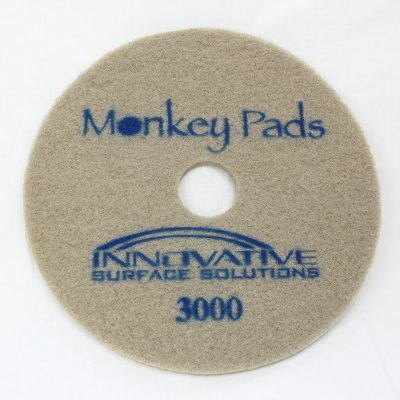 Unlike other diamond polishing pads, Monkey Pads on average achieve a 50% reduction in labor hours in addition to removing the need for harsh chemicals, powder and additional job site mess. In short, Monkey Pads make you more money. 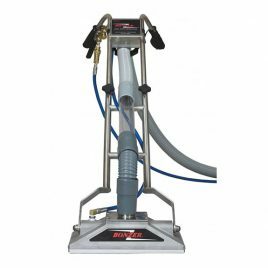 Finally there’s an effective solution to marble polishing that you can start using immediately to hone and polish most any natural stone such marble, travertine, limestone or terrazzo floors, walls, or counter tops. Monkey Pads are specially designed diamond polishing pads for travertine & other high end stone natural surfaces such as terrazzo, marble and limestone. 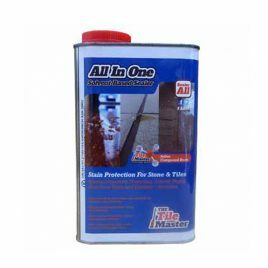 These expensive stone floors and surfaces require a safe, efficient and clean method for polishing. Monkeys Pads save hours of labor and avoid messy powders and harsh chemicals. Monkey Pads are non-toxic, bio-degradable and chemical free. Never Polished Marble? Now You Can Polish Like A Pro! For hundreds of years polishing marble and other natural stone surfaces has been an extremely specialized field. Because of the complex nature of natural stone there have been hundreds of polishing methods and compounds used to transform a dull rock into a beautiful highly polished surface. Until now, only a skilled craftsman could even begin to understand which methods and compounds should be used to polish marble and maintain these marble surfaces. 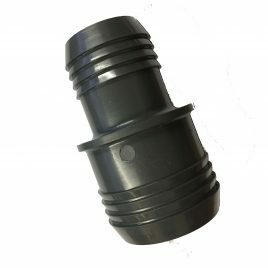 Hose Inlet Fittings in either 1.5" or 2". Fits on the front of the Hose inlet on Machine to a Hose.